When I mean sort of, it’s because I need to say something very very awesome about the 50th anniversary of Doctor Who. To do that, I’ll need to issue a spoiler warning and advise anyone who hasn’t seen the episode to watch it then come back here. THE TWELFTH DOCTOR APPEARED! WHO EXPECTED THAT!? But anyway, that aside, how was the rest of the episode? I’m not going to explain the plot. It’s REALLY complicated. Zygons are invading via paintings, Rose hologram tells the War Doctor about his future lives, David Tennant marries Elizabeth I and there are the MOST…REFERENCES…EVER! I want that on my wall to frame. That is so cool. Speaking of the scenes on Gallifrey, they’re very well done. The Daleks make their awesomest appearance since well, Dalek, and this is the best story since Dalek with them in (I know, it’s sad that it took 8 years to get a good Dalek story). I also like the way they weren’t in the episode that much, yet when they do appear, it’s amazing. Now the fleet is destroyed, the Daleks should get a year off… oh. They’re in the Christmas special. WHY?! The other villains, the Zygons, were also great. The way they were defeated was ingenious and their introduction was hilarious and creepy. Their plan is very good and if it was the whole episode, it would have been great anyway. But for the screen time they had, it was fantastic. There were two brilliant cameos. The first one was the Twelfth Doctor, and the second was the Fourth Doctor. Or was he? When he appeared, I just thought that he was a random person. But, the dialogue indicated that he WAS the Doctor. There’s been speculation, but I just think it’s a future Doctor revisiting his past self. So, 50 years of Who sorted. 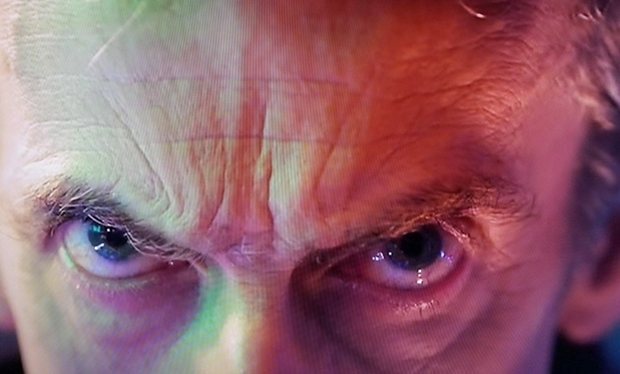 Now let’s wait for Christmas and see… those eyes… The Twelfth Doctor is going to be amazing. I thought it really good too. But which number doctor was John Hurt? He’s the twelfth that we’ve seen, but in fact he is probably the first. Or the zeroth!!! 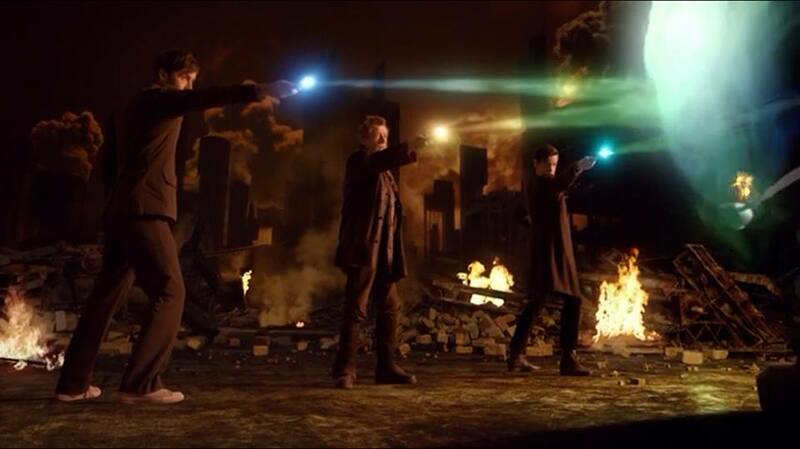 John Hurt is now the Ninth Doctor, Eccelston is Ten, Tennant is Eleven and Smith is Twelve. Capaldi will be Thirteenth. But, yeah, it’s complicated. It’s the first time I’ve watched Dr Who in years but I thought it was pretty cool. I think I’m going to start watching it just to see ‘Malcolm Tucker’ as The Doctor. The Twelfth/Thirteenth Doctor is gonna be epic! Just as long as his stories are!